The first security measure to secure our home and property is the Electric Fence. Energizers are designed to supply the electric fence with power. Energizers are fitted with batteries to ensure operation even with power failures. By keeping the perimeter protected using an electric fence, any attempted break-in of the protected area is delayed, giving additional time for a reaction team to respond. The energizer will, under normal conditions, provide the fence with a pulse at the rated energy level. Should a mains failure occur, the energizer will automatically switch to a reduced energy level. This enables the unit to operate without mains for extended periods of time (i.e. with a good battery the unit should be able to operate for approximately twenty hours). Batteries should be checked on a bi-annual basis. To alert us of intruder thanks to the siren that is part of the energizer which goes off if the fence is tampered with. It gives us time to put some preventive measure in place either calling on the armed security agent or getting ourselves armed. The Wizord 4 is a product of Nemtek Group of Companies manufacturer and distributor of intelligent electronic security. Wizord 4 is the logical choice for domestic and light industrial installations where a medium powered energizer is required. This generation of energizers has been field tested for many years and boasts unsurpassed reliability for its installment and maintenance simplicity. 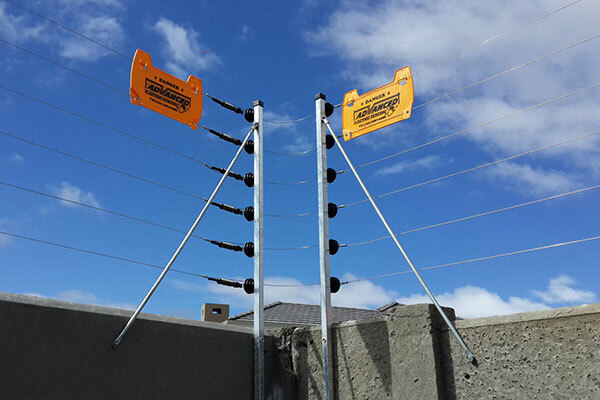 • Siren and strobe outputs to indicate fence condition. To buy a Wizord Electric Fence Energizer on an online store, Kara.com.ng is the number one and the best online shopping website your choice of Wizord Electric Fence Energizer in Nigeria at the best selling prices. The reasons why you have to buy on Kara.com.ng are Fast delivery to your location in Nigeria within 24hours to 48hours, good customer support and ability to choose any mode of payment for your goods.